The important thing to know before you start smoking up a storm is that there is more than one way to smoke food. Even if you don’t have a smoker, all is not lost, and an article on Food Hacks explains what to do. Other types of smoking include dry smoking and wet smoking. If you go with a traditional smoker, you’ll need to know how to best pair the food with the appropriate wood chips, at what temperatures to smoke your food, and what kind of grill or smoker to use. The people at Weber grills are happy to give tips and advice to the new food smoker looking to put it on the menu. 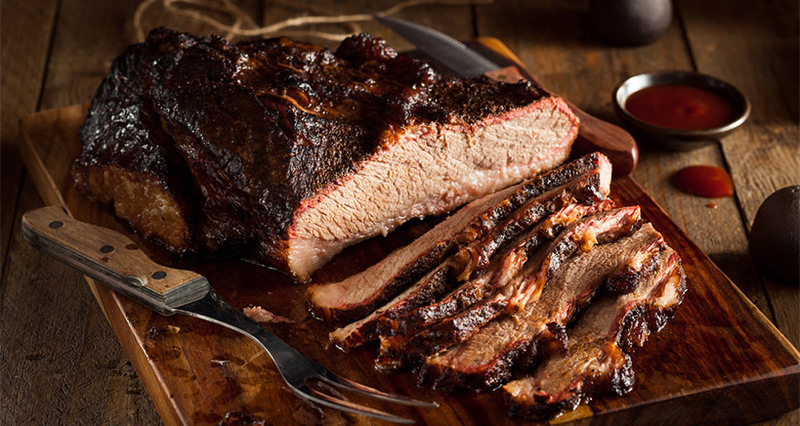 If you’re looking for interesting ideas for smoked food that veer away from meat into the unexpected, the Internet is full of ideas, as are the many creative chefs working across the United States these days. In restaurants around the country, smoked foods are big and chefs today are smoking more than just meat and fish. Pots and pans can be placed right on the fire in wood-fire ovens (if you’re lucky enough to have one) and trendy cooks are smoking everything from fruits and vegetables, and meats and fish, to breads and desserts. Take for instance, Blackbird Restaurant’s roasted Alaskan halibut with turnips, almond, turmeric and smoked butter sorbet, or the smoked gouda macaroni and cheese at another Texas restaurant – Wine Wood. The Vibrant Plate website offers a recipe for smoked ricotta ravioli, very similar to the dish served at The Dutch restaurant in NYC, while in San Francisco – where else? – you can find ice cream with the distinctive flavor of chocolate smoked sea salt at Humphry Slocombe. However, borrowing from the automobile industry, researchers in Great Britain may have found a solution to this smoky dilemma. Their approach involves running smoke through a zeolite filter, a type of mineral that is also used to purify car exhaust gases. This filter can help extract more than 90% of benzo (a)pyrene, the main carcinogen in smoke. Healthier smoked food is obviously a big draw but almost as important is the fact that the zeolite filter is said to actually improve the taste, giving the finished product a better, richer smoky flavor. In an article called, “Smoked Foods are Tastier, Less Harmful with a Tip from the Auto Industry,” the American Chemical Society confirms that filtered smoke resulted in a more balanced taste, as opposed to a flavor that can be ashy and burnt. One theory for the taste difference is that the zeolite filter removes the smoke’s larger molecules, which may be the ones that give some smoked foods their harsher flavors and smell. 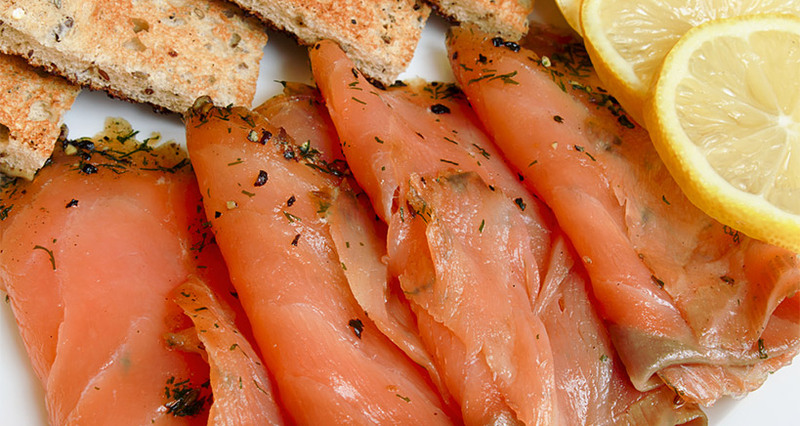 One of the most delicious smoked foods is cold smoked salmon, a.k.a. lox. Technically, lox refers to salmon that is cured in a salt-sugar rub or brine, and nova is cured and then cold-smoked (unlike lox or gravlax). However, if you’re looking to make an impression on your guests, you should consider serving hot smoked salmon, using this delicious recipe from Steven Raichlen’s Barbecue Bible website. 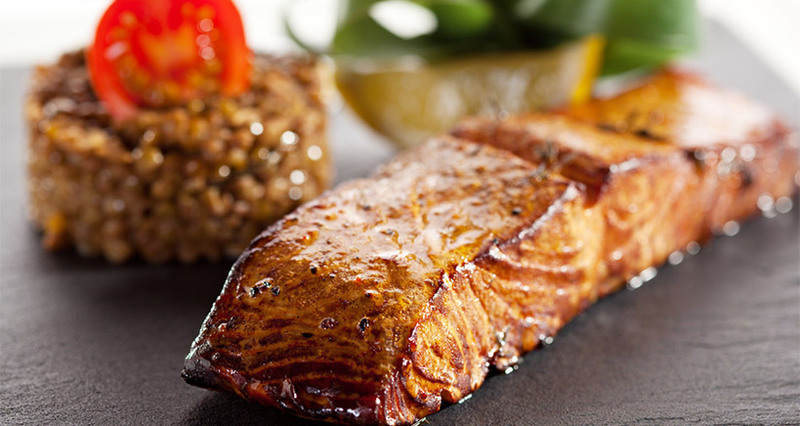 Rinse off the salmon fillet and blot dry. Pull out any bones with kitchen tweezers. Place the fish in a nonreactive baking dish just large enough to hold it. Add the whisky and marinate in the refrigerator for 30 minutes, turning the fish twice. Drain the fish well in a colander and blot dry with paper towels, discarding the whisky. Wipe out the baking dish. Make the cure: Place the sugar, salt, and pepper in a large bowl and mix well, breaking up any lumps in the brown sugar with your fingers. Place one-third of this mixture in the bottom of the baking dish. Arrange the fish pieces on top, skin side down. Sprinkle the remaining cure over the fish, patting it into the salmon. Cover the fish with plastic wrap and cure in the refrigerator for 4 hours. Rinse the cure off the fish and blot dry. Arrange the fish pieces skin side down on a wire rack and dry in the refrigerator for 2 hours. Oil the racks on the skin side of the fish first to prevent sticking and place the fish skin side down on the racks. If using a grill, add the smoking chips. Smoke the fish until golden brown, crisp at the edges, and just cooked through, about 1 hour. To test for doneness, press it with your finger—the flesh will break into clean flakes. Alternatively, insert the probe of an instant-read thermometer through the thick end of the fish into the center. The internal temperature should be 140 degrees. Transfer the salmon to a wire rack over a rimmed baking sheet and let the fish cool to room temperature, then refrigerate until serving. It will keep in the refrigerator for at least 3 days or in the freezer, tightly wrapped in plastic wrap, for several months. Regardless of how you do it and what you do it to, there’s no denying that smoky food is trending. Smoky flavors are showing up everywhere – in restaurants and at catered events – and the trend is not just limited to meat. Vegetables, snacks and even dairy menu offerings have been adapting to the smoky trend and the reception has been enthusiastic. Smoke adds complexity to a food’s regular flavor, which is particularly appealing to millennials who are forever looking for new and interesting flavors. 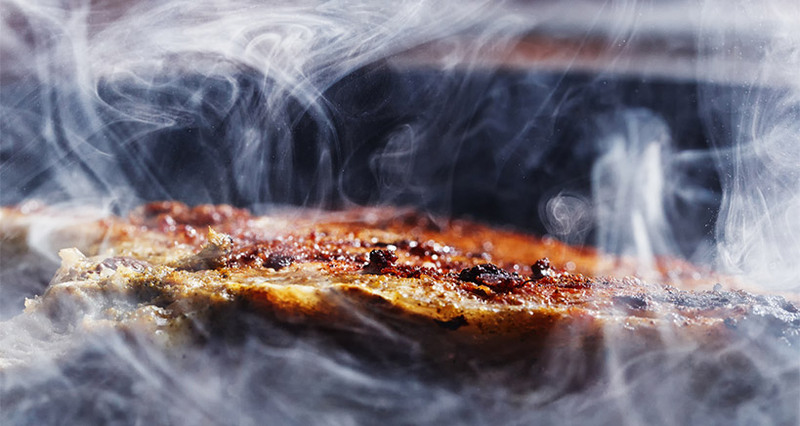 By adding a smoky element in novel and unexpected ways, you can generate a new round of interest in your menu and in your business.